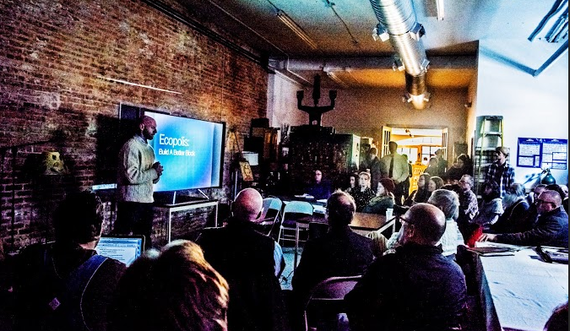 A broad range of community members in Iowa City, Iowa kicked off the "Ecopolis Forum" today, a groundbreaking series of monthly winter conversations on creating the first regenerative city of the arts, food, renewable energy, and commerce in the heartland. Featuring nationally acclaimed farmer and permaculture expert Grant Schultz, the founder of Versaland in rural Iowa City, the first event included a multimedia show on local farm, food and permaculture possibilities for the river town, with a brief showcase on regenerative city efforts in Germany and Australia. "An Ecopolis cycles resources," Schultz said to a crowd meeting at the downtown business, Beadology. "Private enterprise and public services can always agree, efficiency centers on cycling resources." Laying out a design for a regenerative showcase in the riverfront district of Iowa's former historic capital, which gained national attention for its community response to record flooding in 2008, Schultz called on participants to rethink Iowa City's sense of place and nature, as well as imported sources of food, sprawling transport systems, and an aging grid dependent largely on fossil fuel energy and subsequent waste in enduring periods of record drought, flooding and changing climate. 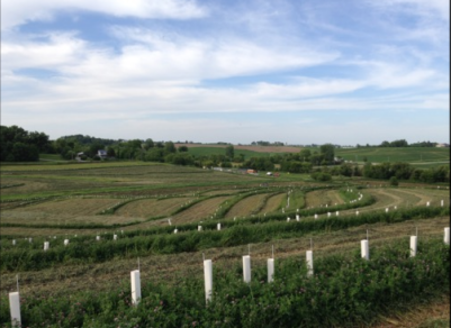 Schultz issued a timely challenge to creative cities like Iowa City to take the lead in local food, farm, energy and transportation initiatives that positively enhance rather than undermine our environment. "By April, 2016, we need 90% of the residents of Iowa City to have access to a community garden plot within 16 blocks (one mile) of their residence," Schultz said. "Growing food is a human right." 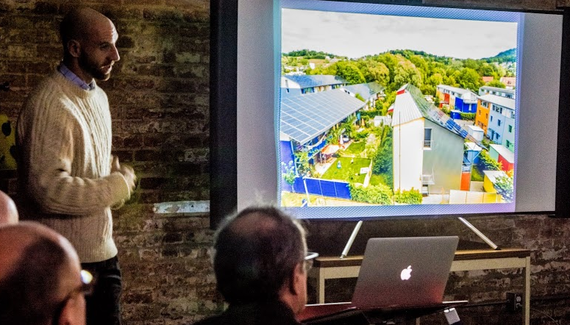 Launched by an informal group of farmers and gardeners, urban planners and engineers, civil rights activists and attorneys, artists, writers and University of Iowa students, including myself, the Ecopolis Forum seeks to serve as a catalyst for regenerative cityscape initiatives. According to the Forum organizers, urban planning should no longer be the exclusive domain of a handful of stakeholders, but a process for public participation that brings together policy makers, entrepreneurs and the civil society. "Today's Ecopolis meeting had an unmistakable feeling of urgency," said University of Iowa student Jenna Ladd, who served as co-president of the University of Iowa Environmental Coalition, and now oversees the university student garden. "It was a cross-section of our town, with Gen Z'rs sitting next to policy makers from the City and County alongside gray-haired peace gardeners," said Geoffrey Lauer, an Iowa City resident and civil rights advocate. "Each was here with a hunger to respond to the vulnerabilities of our City. 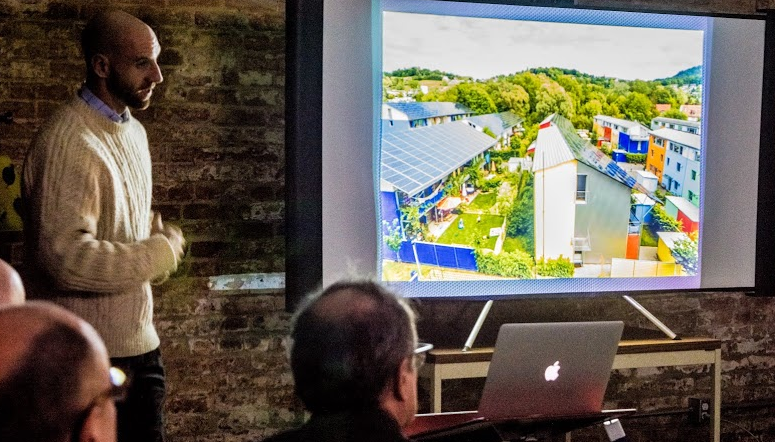 The narrative of Ecopolis II (woven by a farmer, a designer, a lawyer, artists and writers) shared a vision of community action and sustainability that is accessible, available, affordable, and locally appropriate. It blended global and local examples of action--individual action that could happen in an afternoon and action that will require multi-year, municipal commitment. It inspired the heart and beckoned the hands to dig in. 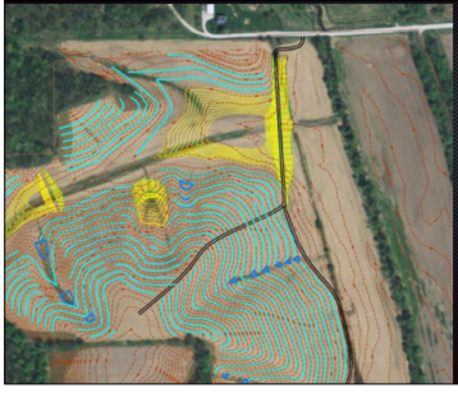 Into the soil, into the roots, and into the community of our town." "The Ecopolis Forum seeks to improve the quality of life of Iowa City by identifying existing projects, sharing ideas, and by planting seeds for future green growth," said local attorney and community activist Rockne Cole, one of the event's organizers, along with artist and New Pioneer food coop coordinator Miriam Alarcón Avila, UI environmental arts doctoral student Erica Damman, and journalist Mara Kardas-Nelson. "We do not seek an eco-topian vision in the distant future. We seek to accelerate dynamic initiatives that are already taking place." Indeed, Iowa City and its University of Iowa bedrock appear to be on the cusp of several breakthrough sustainability initiatives. Only hours before the meeting, in fact, Environmental Protection Agency officials came to town to recognize Jennifer Jordan and the City of Iowa City's new food waste and compost initiative. On the heels of a major breakthrough solar energy court case, local newspapers today hailed an unprecedented deal between a local solar provider and Johnson County officials, as nearby a rural town completely retrofitted its schools in solar, saving the cash-strapped district $100,000 annually. "Today's event provides a great foundation upon which to build," said Iowa City council member James Throgmorton, an Emeritus Professor of Urban and Regional Planning. 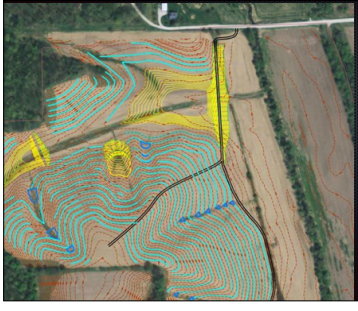 "From Grant Schultz' Versaland permaculture farm, to the indefatigable Fred Meyer at Backyard Abundance and the nationally recognized gardening wizard and Soilmates founder Scott Koepke, who had just returned from the White House garden, along with urban planners with DesignIC," said Damman, "we are in the midst of an exciting period in Iowa City, re-imagining the extraordinary possibilities of new road designs, efficient building plans, city parks and public spaces. The good folks at Table to Table have reminded us it must be inclusive." 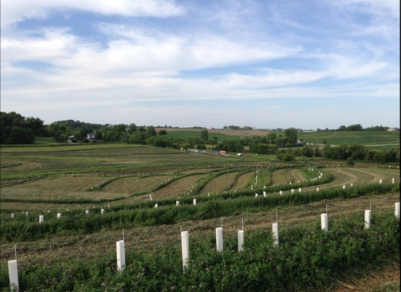 Over 20,000 trees planted at Versaland in 2014. Photo courtesy of Versaland. Water-retaining landscape. Photo courtesy of Versaland. "Those that gathered seemed to be saying that they no longer have time to wait to receive permission to make changes on the ground that just make sense and should have been done decades ago," Ladd added, referring to her own hopes to launch a community garden share initiative with new immigrant families. "Grant Schultz pointed out citizens' ability to galvanize and act when their immediate safety hangs in the balance, like in the case of the 2008 flood. Ecopolis is a movement that recognizes our town and our people are already suffering climate tragedies every day. We ignited a fire today. Our community is acting now, with or without complete municipal backing." Alarcón Avila added in Spanish, "El tiempo de trabajar la tierra, y cambiar la ruta insostenible que nuestra sociedad ha seguido, ha llegado, es este, y son nuestras manos las que harán el trabajo." 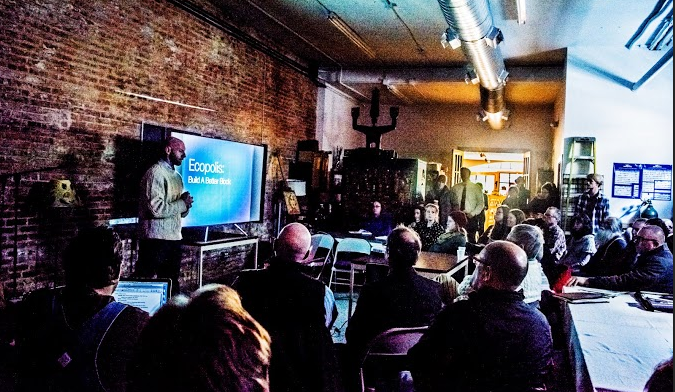 In essence: The newly launched Ecopolis Forum in Iowa City believes it is not enough to provide information; we must come together and promote and initiate the best solutions and practices, and take unabashed steps toward a new urban agenda as a regenerative city.